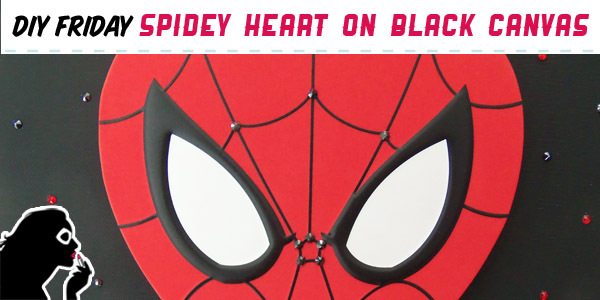 It’s been awhile, but we’re thrilled to bring you another Set To Stunning DIY Friday! 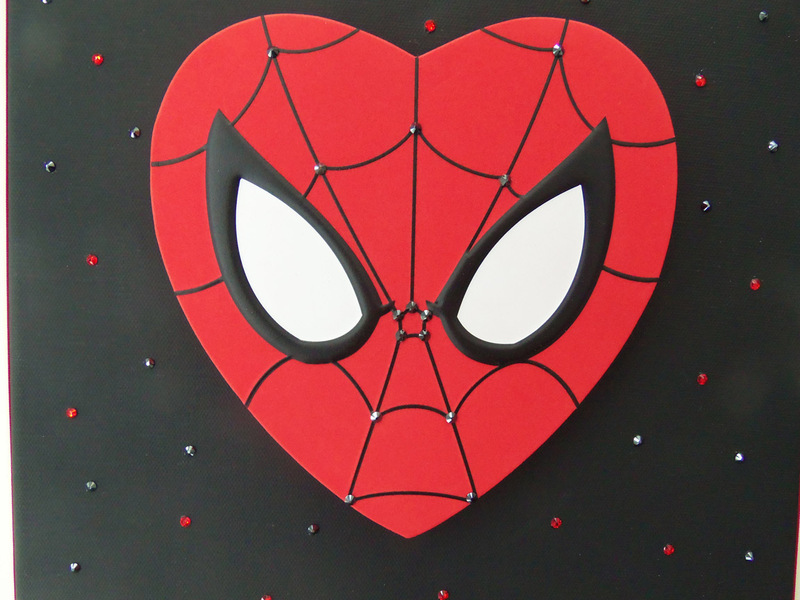 Just in time for Valentine’s Day, this craft can be put together in an evening, is sure to bring a smile to your geek love’s face, and look great displayed in the home all year long. 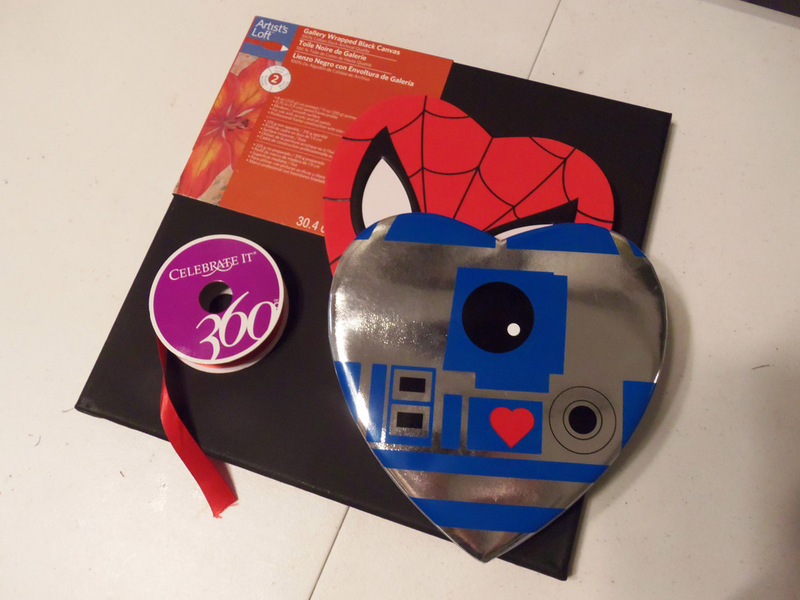 Last year Target was selling these adorable R2D2 heart shaped candy boxes, and I bought 3 of them just to be able to use for a DIY at some point! 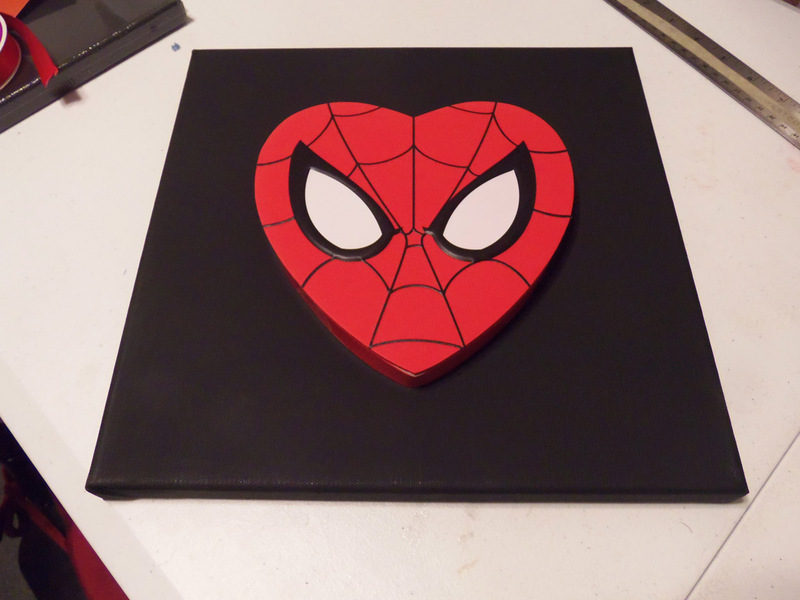 This year they had these perfect Spider-Man heart shaped candy boxes, and I knew they’d be perfect for a DIY too, so it’s the subject of today’s DIY. 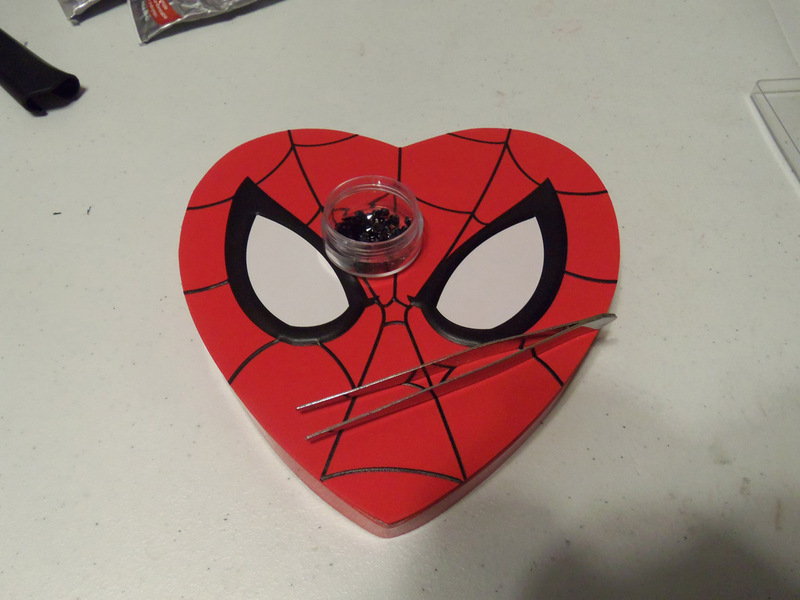 I love it when products like these are available because you know they’ll make for great craft usage in the future. Be sure to buy multiples when you find perfect craft options like these, since you can’t guarantee they’ll be available again next year (like the R2D2 boxes). 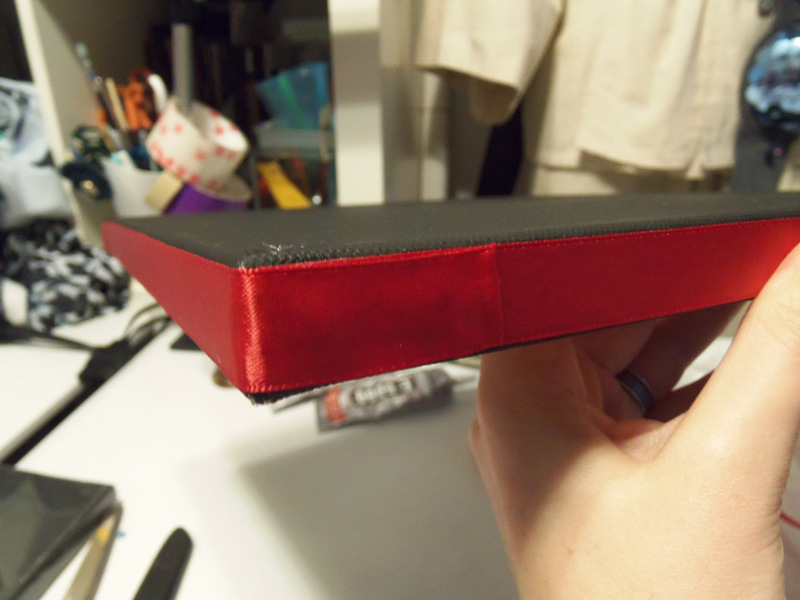 What I love about this DIY is that it consists of very few steps, but looks really nice when complete! Overall this DIY can be accomplished in about an hour or two. 2. 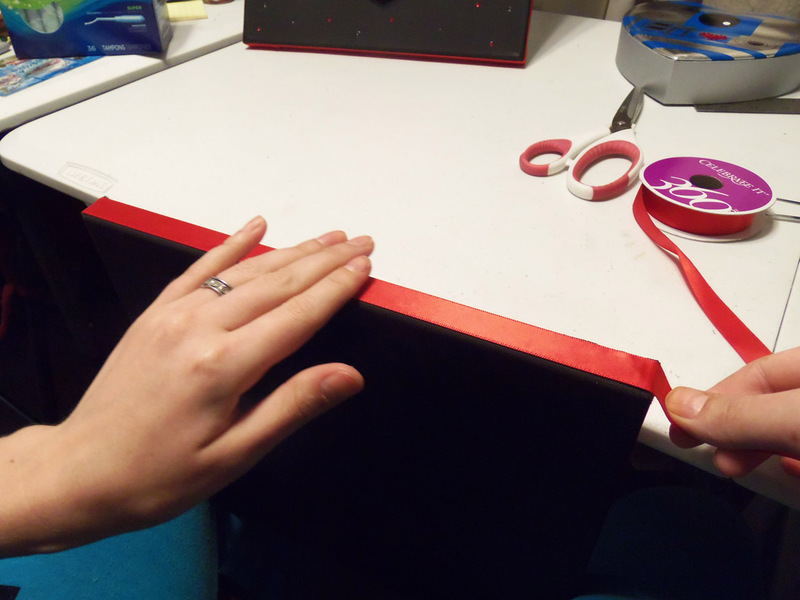 Smear E-6000 along the sides of the canvas and place the ribbon down. 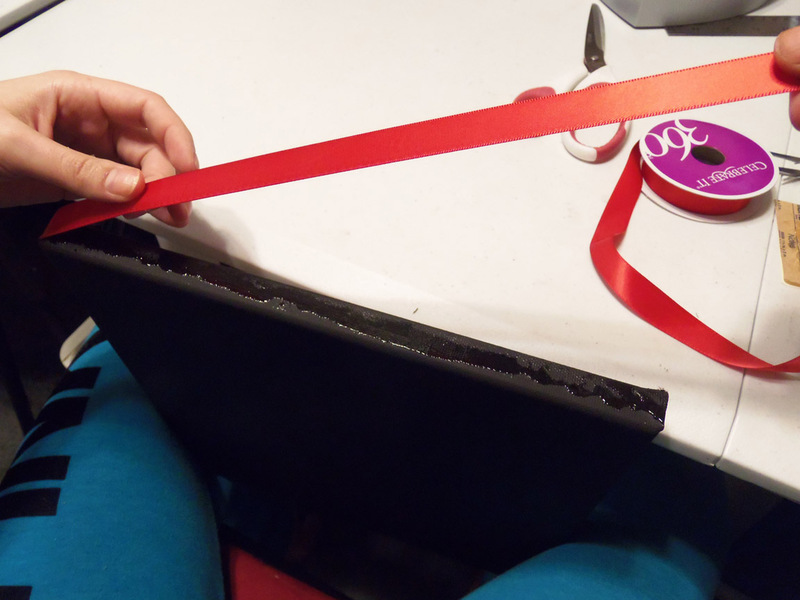 I folded down the edge of the ribbon to make a finished looking overlap of the ribbon. 3. 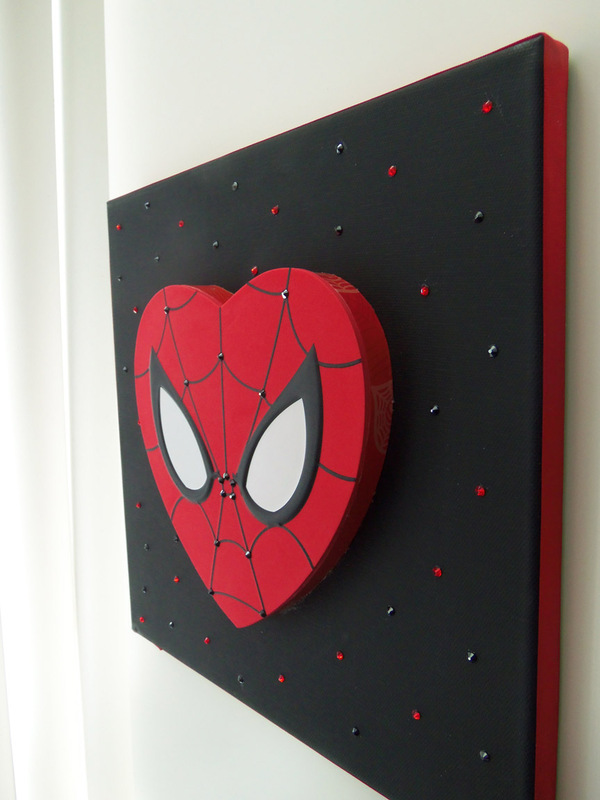 Attach the heart to the canvas frame using E-6000. 4. Embellish! 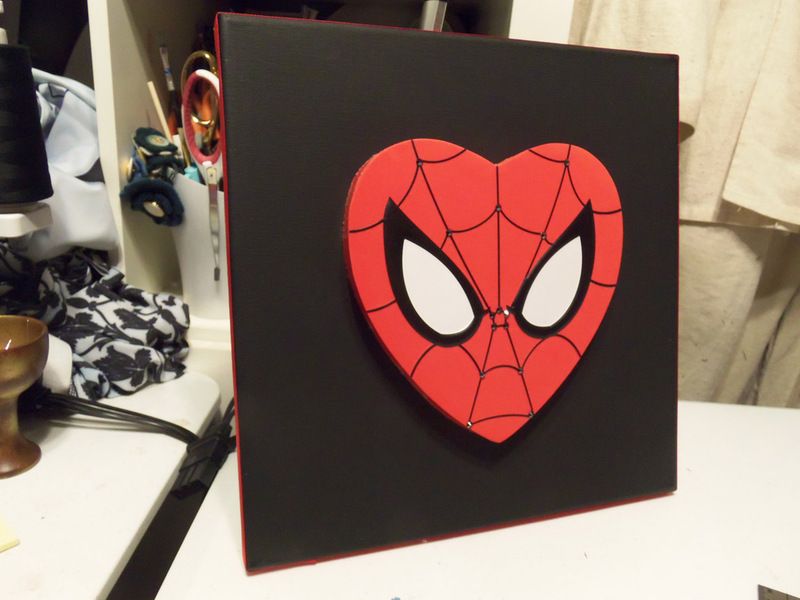 I’d recommend adding any embellishments to the heart prior to gluing it to the canvas, but any embellishments to the frame should be done after the heart is in place. 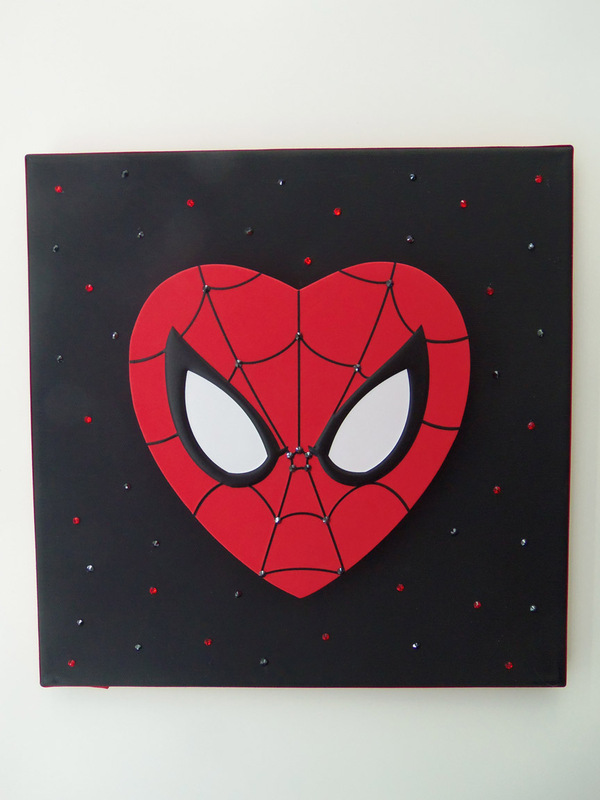 I attached Swarovski crystals on the heart and canvas using tweezers and E-6000. 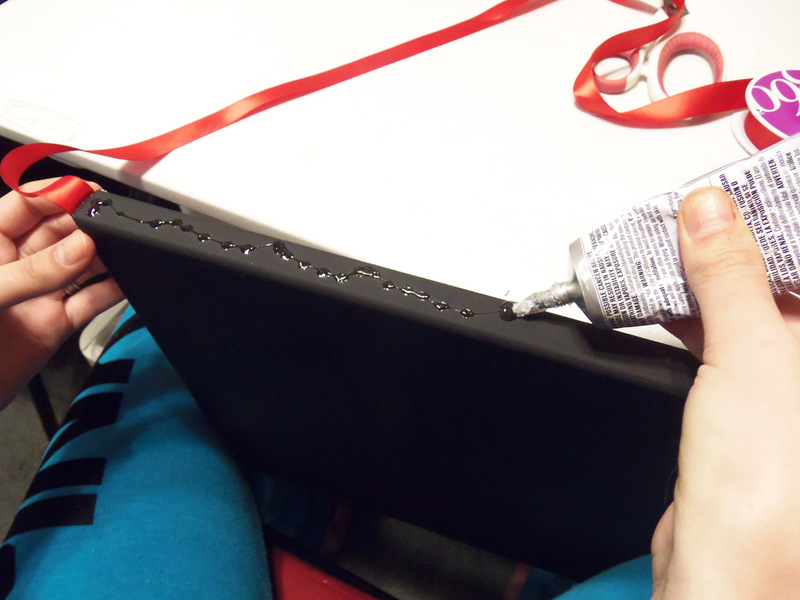 We’d love to see the results if any of you decide to try your hand at this DIY. 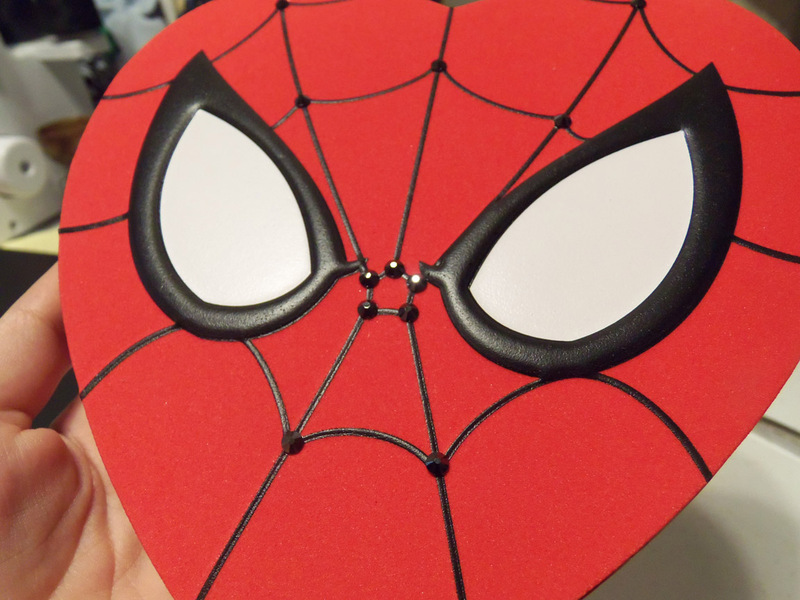 If you have any of your own geeky DIYs to share, well, please do! Contact us here through our blog, or on our Facebook or Twitter. 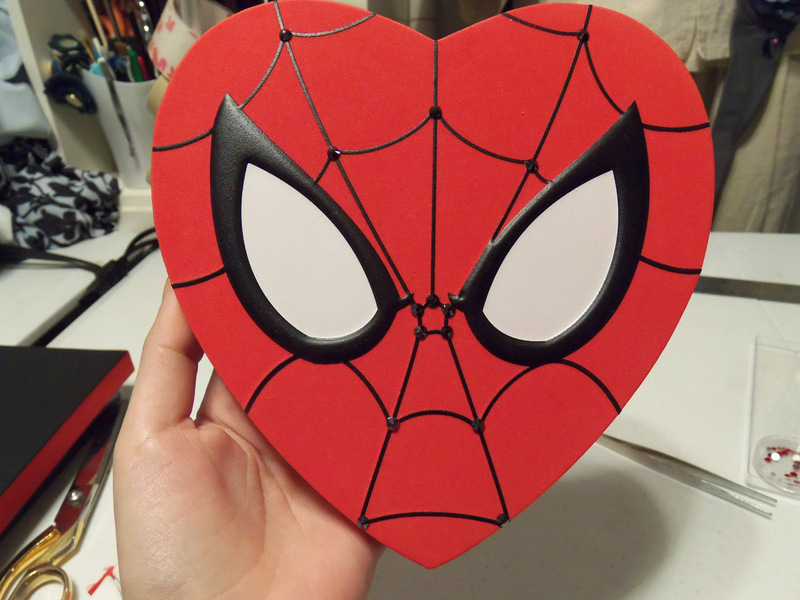 If you liked this DIY, you have a chance to take it home with you! 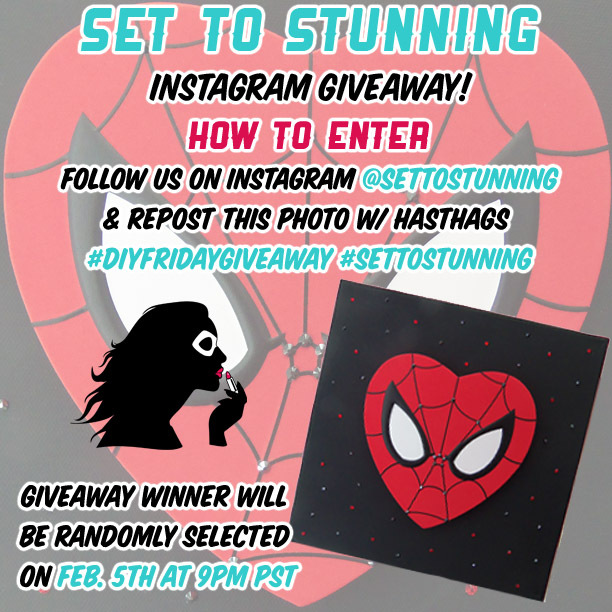 We’re running a giveaway for this piece over on our Instagram. Check the photo below for all the details!